The fall months are a time to celebrate. Over the next few months, the holiday season begins and weddings start to show up more and more. Whether you are preparing for the holiday season or for a wedding, you may be looking for a venue that can cater to your celebration. 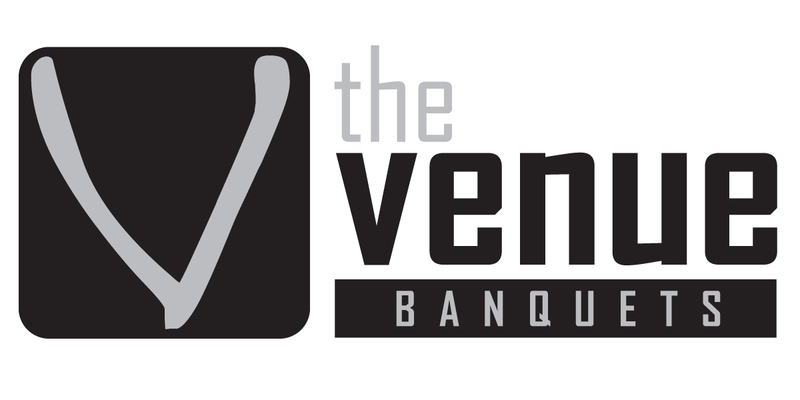 The experienced staff at The Venue Banquets can provide everything you need from a banquet manager to an all-inclusive wedding bundle. Their event and holiday catering is one of the most affordable in Cuyahoga Falls, Ohio. Preparing for an event can be stressful. The Venue’s buffet packages can help make your food choice hassle free. The extensive buffet package includes everything you need from appetizers, to desserts, to drinks. If you are looking for a place in Tallmadge, Ohio or Akron, Ohio to host your next big event, The Venue Banquets is it! Preparing for an event can become overwhelming. Organizing decorations, invitations, finding a venue, and organizing everyone’s availability can be hard to do on your own. The Venue Banquets offers all-inclusive wedding bundles and extensive buffet packages to help you prepare any event, hassle-free. The Venue Banquets wedding bundle provides set-up, a DJ, ice sculpture, limo, and chair covers. Finding your own deejay, ice sculpture, and limo can become expensive quickly. In the midst of making a thousand and one decisions, finding a talented staff of people that can help you make those choices can be a life saver. The Venue Banquets banquet manager, Ms. Byers, also acts as wedding consultant. Ms. Byers has been in the business for over twenty years and has helped over 2500 weddings turn out picture perfect. Her years of experience and skilled touch can help any couple obtain their perfect day. Your wedding is one of the most important days of your life; make sure it’s memorable for all the right reasons. The Venue Banquets’ buffet packages are perfect for weddings, work events, reunions, and holiday catering. Their event and holiday catering, starting at just $29.00 a person, including sales tax and service, offers tossed salad, roasted chicken breasts, roasted beef, lasagna, potatoes, rolls, an assortment of desserts, and drinks. You won’t find a venue that offers more for a lesser price! If you would rather provide a different variety of food options to your guests, The Venue offers a large menu of options. With a huge selection of display items, you can start your guests off with a dry snack bar, deli trays, or smoked salmon. Their list of appetizers is priced per fifty pieces and range from meatballs to pierogies. The Entrées can be one, two, or three entrée selections, ranging in price for each option. The Venue also offers a carving station. Everything from Virginia ham to County Club Strip Loin can be carved and prepared for your guests. Preparing for an event can be consuming and stressful. 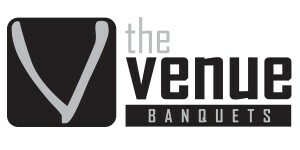 Let The Venue Banquets help you plan your next big event with their experienced, talented staff. Their all-inclusive wedding bundle provides you with everything you need to get started planning your perfect day. Their extensive buffet package offers you a variety of food options at an unbeatable price. The Venue’s holiday catering is perfect for any of your Tallmadge, Ohio; Akron, Ohio; or Cuyahoga Falls, Ohio events. To see if their event and holiday catering works for your next party, call The Venue Banquets at 330-633-7111. This entry was posted in Catering, Restaurants and tagged all-inclusive wedding bundle Cuyahoga Falls Akron Tallmadge Ohio, event and holiday catering Cuyahoga Falls Akron Tallmadge Ohio, extensive buffet package Cuyahoga Falls Akron Tallmadge Ohio, The Venue Banquets by admin. Bookmark the permalink.